Today, I’m thrilled to continue announcing my new book Outlining Your Novel: Map Your Way to Success. 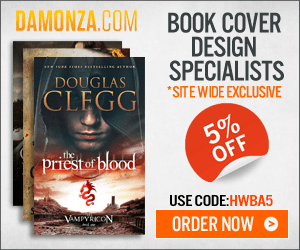 The book, available September 26, 2011, features all kinds of tips on why outlining will make you a better writer, what kind of outline you should use, and how to put that outline to work to construct a solid plot and compelling characters. The book is actually as much about the methodology of storytelling as it is the methodology of outlining, so it’s chock full of useful info even for those of you may not initially think outlining is your kettle of fish. Over the next three weeks, I’m featuring all kinds of prize giveaways, which will build up to the Grand Prize, worth over $500, on September 26th. This week, leave a comment to register for today’s prize, the writing craft books Revision and Self-Editing by James Scott Bell and Writer on the Side by Bryan Cohen. Ollie Outliner: I’m lost without my outline. Gotta have a road map, so I know where I’m going. It makes the journey so much easier. How can anyone write a coherent story without some idea of what’s supposed to happen? Think how much time you waste writing dead-end scenes and meandering subplots! Polly Pantser: Where do you get the patience—and the time—to spend weeks, or even months, outlining a story? I’d go crazy if I had to wait that long to start writing. Besides, I lose all the sense of adventure if I know how the story is going to turn out before I start writing it. Without question, both sides present good arguments. But how do you know which is telling the truth? Hold onto your britches—here comes the shocker. Writing—like all of art—offers few absolutes. If it did, it would quickly stultify into set patterns and tiny boxes of preconceived ideas and methods. This is nowhere more evident than in the writing process itself. It’s like a deck of cards, and every writer shuffles it a little differently. 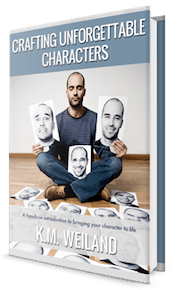 Just as our stories are (we hope) distinctive, so are our personalities and lifestyles—and, as a result, our working patterns. In pursuit of bettering our craft, we voraciously study the masters by reading every how-to book and author interview we can get our hands on. But what we sometimes don’t realize is, even if a particular method or routine works for one author, that singular success doesn’t make it a universal principle. We like the assurance that if we write one page every day, five days a week, we’ll finish a book in a year and be published in two. But life doesn’t work that way. Writing a page a day may be the perfect routine for you and allow you to finish that book in a year. But the rigidity of such a schedule might also hold you back from your ultimate productivity. You might work much better if you allowed yourself more flexibility and less pressure. Each author must discover for himself what methods work best for him. Just because Margaret Atwood does X and Stephen King does Y is no reason to blindly follow suit. Read widely, learn all you can about what works for other authors, and experiment to discover which methods will offer you the best results. My own writing routine is a continually evolving process. What worked for me five years ago isn’t necessarily what works for me now, and what works for me now isn’t necessarily going to work for me in another five years. With every story I write, I learn a little bit more about myself and what approaches make me most productive. I’m constantly refining my work habits, always listening to my instincts, and paying attention when I feel I’m forcing myself to observe a stricture that just isn’t working. The individual writer is the only expert of his own proficiency. Never feel as if you have to force your writing habits to mirror someone else’s—no matter how successful that person may be in his own right. Find what works for you and stick with it. This is particularly true when it comes to the choice between outlining and writing by the seat of your pants. Whether you’re an Ollie or a Polly may depend largely on your personality. Simple fact: Some people just don’t work well with outlines. They find outlines cramp their creativity by preventing the story from evolving as they write, or they discover writing an outline scratches the creative itch to the extent they no longer have any interest in writing the book itself. But for every person who tries outlining and decides it’s not for him, someone else dives in and discovers a process that transforms his writing into an efficient and organized writing machine. did I give outlining an honest-to-goodness go. I spent three intensive months sketching ideas and organizing scenes. Not only did I produce the best story I’d written up to that point, I also experienced the easiest, most exhilarating writing journey of my life. That story flowed as no previous story ever had, and I credit its ease almost entirely to the months I spent outlining. After that, you would think I’d have learned my lesson. Do yourself a favor, kiddo: OUTLINE! But, no, I still had to learn the hard way. I decided to jump into my next book, Dreamlander, without outlining. I’d spent a year researching a project that hadn’t turned out, and I was feeling mentally fatigued and in no mood to do anything but write. The last thing I wanted to do was outline. So I steered myself off-road into the writing wilderness, sans road map. The farther I drove, the bumpier the ground became and the more I began to realize that, before I knew it, I’d be as lost as a moped driver at a Humvee convention. I made it all of fifty pages before admitting this story was going nowhere fast. Despite characters I loved and a premise full of potential, the book was a rambling, wandering, bloated mess. After an appropriate period of pouting and oh-the-agony-ing about my plight as a writer, I finally gave in and started another outline. Two and a half months later, I emerged with a plan of action that organized those problematic first fifty pages and offered me a clearly defined road to my destination of “The End.” Never say never—but, after that experience, I will never begin another story without outlining. Making major adjustments in a finished manuscript of 100,000-plus words is far more painful than in a few dozen pages of outline notes. Mostly, I outline because I’m lazy. I hate rewriting. I hate watching my burst of pride and relief at the end of a novel dissipate in the realization of a hole-riddled plot. I’d much rather know where I’m going from the beginning, rather than force my foreshadowing and plot twists into the text somewhere in my second draft. Because I’m already familiar with each pit stop along the road of my novel—thanks to my road map—it’s much easier for me to visualize the big picture and realize what each scene must do to play its part. Outlining is also a surefire antidote for writer’s block. When all I have to do to discover where I’m going is look at my map, I rarely waste valuable time and brain cells staring slack-jawed at the blinking cursor. Outlines take many forms—some of them little more than a few sentences scrawled on Post-it® Notes, some of them notebooks full of ramblings. No one says your outline has to be of any particular length. Most of my outlines fill up at least a notebook or two. A bulleted list of scenes may be all you’ll need, or you may end up with five notebooks of scribblings. What’s important is recognizing the outline as a valuable tool and then figuring out how to make it work for you. Tell me your opinion: What has been your experience with outlines? 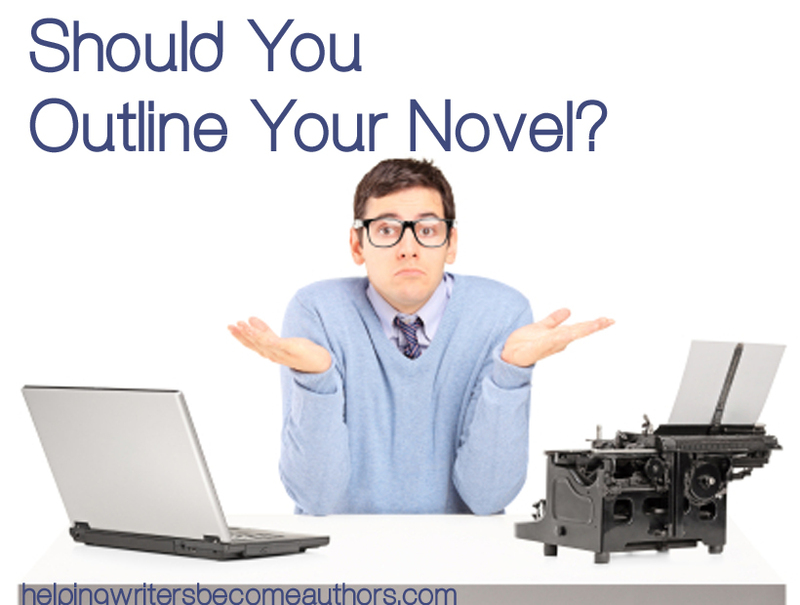 How to Outline for NaNoWriMo: Should You Outline Your Novel? I do a balance, I know the general way I want to go, but am receptive to changes that happen as the characters interact. @Ravens: Definitely. I wrote my first novel with a “mental outline.” I was so familiar with that story that I knew it from start to finish before I ever started the first draft. That’s unusual. I don’t think I would have been able to do that with any other story I’ve written. @Heather: That receptivity is important. The art side of writing demands a certain amount of flexibility, and we ignore its demands at the risk of our writing’s quality. I’m definitely an outliner- I at least like to know roughly what a story is about instead of just seeing what happens. Looking forward to your book! Few of us start a story without knowing *anything* about it. We start out with a few pit stops on our road map – and then fill in the blanks. I think I tend to be an outliner as well. But I have a hard time buckling down and doing the outline. Still, like you, I think if I could get through the outline I’d find the writing much easier. I’m struggling right now. I’ve only written one full-length ms. Didin’t outline, wished I’d had, mainly because it would have saved me several drafts and well over a year of my writing time. I rambled in places, overwrote, wrote scenes that were eventually cut, and realize now that I’ll have to change my plot to get it closer to Donald Maas’s ‘Breakout Novel’ level of compelling. To me, the month or more I spend writing an outline, plus more-detailed character sketches, will pay off probably ten-fold in time saved actually writing the story. I started out a non-outliner (didn’t really understand what that was until about two years later). I can write by outline, but rarely stick to it completely. Once the story gets going, there are subplots and characters that just introduce themselves and refuse to go away 🙂 I guess that puts me somewhere in the middle, but both definitely can be good. I’m a Polly who wants to be an Ollie. Teach me! Lol. 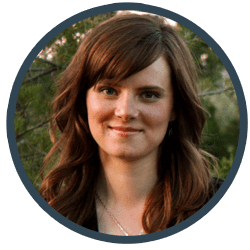 @Sarah: The writing process – no matter you preferred technique – is very much about patience. Hard truth for impatient types (like me! ), but true. Sometimes the most difficult part about writing an outline is actually committing the time and effort. But it always pays off in the long run. @Chitrader: Your experience completely resonates with me. As I mention in the book, the time spent on the outline is far less agonizing than the time spent struggling with a rambling first draft and then having to seriously rework it. @J.C.: Sometimes all an author needs from an outline is enough confidence to get him past the beginning of the story. Not everyone needs a step-by-step outline, although for some complicated stories they’re a lifesaver. Some of my earliest novels careened wildly out of control or hit brick walls in the absence of planning. Others suffocated under too much outlining. Instead I use sort of a hybrid method and a piece of posterboard. I’m curious how you use your posterboard. Like a storyboard? Janet Evanovich uses a similar approach. Haven’t tried it yet myself, but I love the idea. I outline at first to see where the story goes. But sometimes I change my mind and end up writing something else. But as long as I have the important points, it’s ok. In its simplest form, the outline is just a quick way to get our thoughts sorted on paper. Thoughts have a tendency to evolve over the course of our stories, so we have to keep our vision of our outlines fluid. But it’s always a comfort to know you have a solid, safe storyline to fall back on. I’m a definite pantser. I find it quite difficult to deviate from an outline once I start writing, which means that my story doesn’t flow right, which leads to me getting frustrated and giving up. *sigh* I’m trying just to write a first draft without any formal planning. Then, once I’m done, I’ll go back and see where I can from, before planning the second draft. Ha, got to get to the end of the first draft though. One of the things I discuss in the book is how I actually look at my outlines as first drafts, in a sense. They’re in-depth enough, in their exploration of story, that they allow me to discover all the major points I would discover in actually writing the first draft, so I feel the same freedom I would in pantsing a first draft – without the difficult rewriting when I’m through. Outlining has helped me in my latest WIP. Nothing major, just a chapter sketch to see where to go. I just wanted to come back and say that after reading this I determined to sit down and do a broad outline of the plot to the story I’m working on. It was wonderful, I was so inspired and I figured out so much more of my plot that I ever have before. Thank you! @Jessica: Glad to hear it! Whether outlines are minor or major, sometimes they’re just the boost we need to confidently write our way through the difficult parts of our stories. @Sarah: Whoo! I’m all excited for you. 😀 It’s amazing how much difference a little thing like an outline can make, isn’t it? Nope. The majority of the characters in my novels each have their own story arcs, and in some cases, their own individual plot curves. The picture I draw ends up looking like a pile of spaghetti at first glance, but I have to do this because there are so many “moving parts” in my novels. Sounds great. yWriter has a similar feature, allowing you to chart POV usage (and thus arc – although without the visual arc itself) via different colored lines. Handy. This is old but is very relevant to my current situation. I love to write, the only thing for me is I have never completed an original novel length story. I got my start in fanfiction and I’ve written so much of it (none of which I outlined for) that I almost feel as if it has ruined me for good. But being 19 and my dream of being an actual published author someday, I realize I need stop concentrating on my fanfiction and start in on ideas of my own. The only problem, for me, is that I get distracted rather easily and I am a bit of a procrastinator. I get all these ideas and I start writing but suddenly I get other great ideas and start in on those and then I get stuck with everything I’m working on. I think outlining will help me immensely in finishing something. I know that if I can just *finish* that first draft, then the revising that comes after that will be much easier for me because it’s the finishing a story that I have a problem with. I don’t think it helps that I still live at home and share a room with my little sister and I don’t even have a desk for my laptop or journals. I have a seat on the couch and a dinner tray. But reading this has really gotten me in the mood to figure out my own (unique) way of outlining. Something that works for me and makes me passionate and inspired. Unlike the idea of listing something such as listing scene by scene of my novel idea. Especially now that I wrote a full (long) synopsis of a random plot idea that popped into my head a few days ago, the first original idea I had in a long time. I feel that if I can prove to myself that I CAN finish this–with an outline–then maybe in the future I can actually write something good enough to try and publish. Willpower is the name of the game. If you want it bad enough, you can find a way to do just about anything – even finish a novel! Outlining can be so helpful in breaking down that monumental task into manageable pieces. You don’t have to worry about writing a whole book. You just have to worry about the step that is in front of you. Dear K.M. Weiland, thanks a lot for your book “Outlining your Novel”, it helps me a lot. Excuse my English, it is not my native tongue (I am from Germany). I remember writing a fantasy novel in my midtwenties in my spare time. I kept rewriting it over and over again because it had lots of weaknesses and scenes & characters I didn’t feel comfortable with. I never finished it to a point where I truly liked it to be published. You may ask why. Because I was a pantser. I wish someone back then had told me about structuring and outlining. Recently I started a Steampunk novel with fantasy elements and right now I am reading “Outlining your novel” and “Structuring your novel”. Thanks for sharing all this valuable insights and informations with us! I’m so glad you’ve found the books useful! Outlines and structure take so much of the guesswork out of the writing, leaving us to just enjoy the story, rather than stressing about the process. I wish you all the best with your writing!